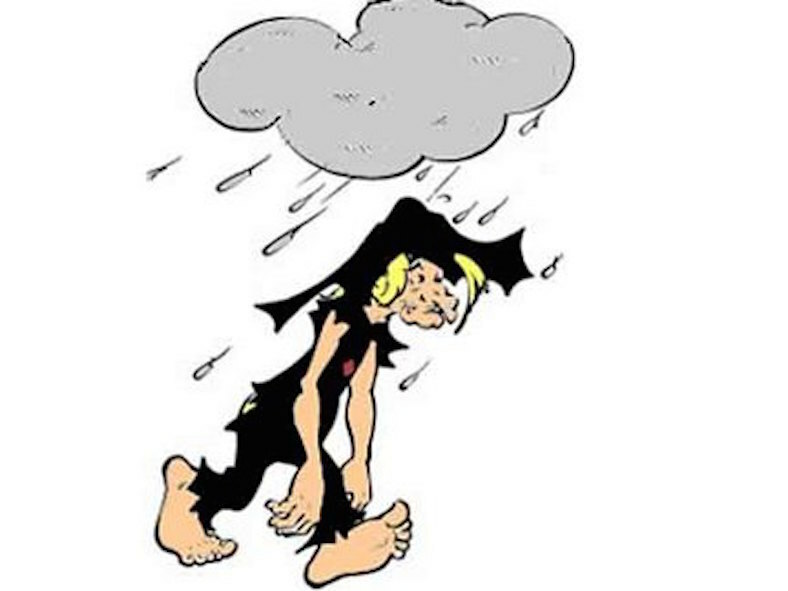 People of a certain age will remember Joe Btfsplk as the character in the Lil’ Abner cartoon who walked around with a constant rain cloud over his head. I thought of him the other morning when I was out early riding my bike and I passed a spot about two hundred feet long where it had rained. Nowhere else was wet, just that short stretch of road. We were led to believe that Joe’s Btfsplk’s cloud was one of despair, gloom and depression –but we’ve had such a long stretch of unseasonably hot weather with temperatures in the hundreds that I wonder if maybe this rained-on area is where people with especially good karma live and that this might actually be a reward. I used to read comic strip, but didn’t remember the name of that character. Thanks for the memory. Feel free to sing the previous sentence.